Some spoilers for the beginning. Ori and the Blind Forest is a beautiful Metroidvania game that had me weeping within the first ten minutes. That beats Up’s record. I was a mess five minutes later though. 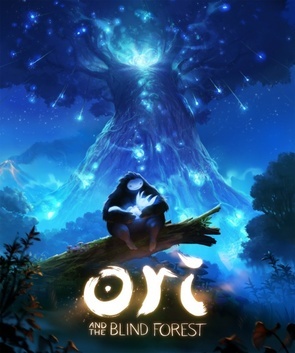 The moment the game starts, you’re sucked into another world, and everything about it facilitates this journey: the painting-like scenery of forest, the ethereal music, and the instantly endearing relationship between Ori, who fell out of the Spirit Tree during a storm, and his adoptive mother Naru who could’ve stepped straight out of a Miyazaki movie. Within five minutes or so, we see a cataclysmic event that causes the forest and its resources to wither, and Naru dies in ensuring her child is provided for, orphaning the poor creature once again. However, Ori, too, soon succumbs near the very Spirit Tree from which he originally fell. The Tree revives him and later Ori meets Sein who serves as both guide and guardian to the little creature on his quest to restore balance and light the forest of Nibel, which, true to its name (and keeping with prior references), has trials of mist (and fire). There are of course enemies desperate to uphold the shadow, which Ori must either fight or avoid as he may through the twisting maze of woods, but the end is both bittersweet and heartbreaking when the true reasons behind one of his greatest foes comes to light. The instant my ears were treated to this opening marvel I knew I’d found something. My initial thought was to turn off the let’s play and purchase the game immediately, but I’m glad I didn’t. I hath not the skills, which Cry clearly honed, as you can see below (some explicit language). Yeah…I can’t do that, though the game is very generous with its checkpoints. Regardless, this is why I love Let’s Plays; they let me experience games I either don’t have the time or the skills to play. Periodically, during the journey through Nibel, Ori will come across skills “left behind” by those before. This is where the Metroidvania aspect comes into play, as new skills will require backtracking to pick up items hitherto unreachable items or areas that could not be prior explored. I have nothing bad to say about this game; there are no critiques to give, so if you were looking for some, you’ve come to the wrong place. Were it not for the challenge aspect, I’d play Ori and the Blind Forest myself, but its difficulty is not a slight against it, since it’s mitigated by the bountiful checkpoints. Were the game to send you back too far after a death then I’d say something about it being too hard (which is a factor other games should consider when deciding their level of challenge weighed against player irritation and the all too common rage quit), but while it might be frustrating to try and fail at a particular part, at least you don’t have to go through something else in order to re-arrive there. I would almost buy this game to throw Moon Studios some money, because I want more games like this. It was a joy to watch, and I’m currently listening to the soundtrack as I write this review. It’s an excellent one for writing or editing in general, being so atmospheric and ambient. 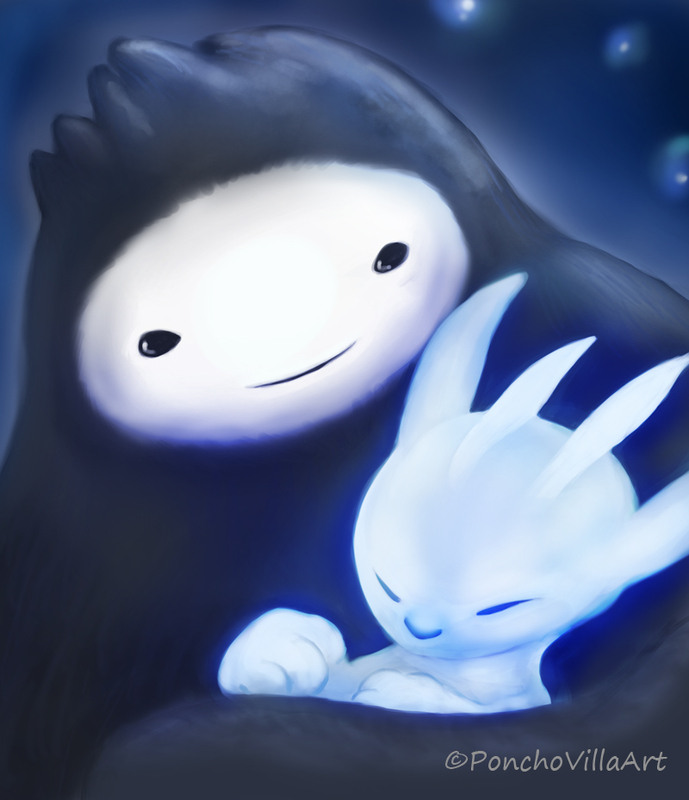 I cannot wait for the sequel Ori and the Wisps to drop. I’m anticipating that nearly as much as the continuation of The Last of Us, nor could I make a judgment call as to which one will break my heart more. 10/10 (I think I rate games on a 10 point scale. Whatever I rate them on, Ori receives the top marks). I’ve been meaning to get into this one; when I get a decent computer, I’ll definitely check it out, as I purchased it on a Steam sale awhile back. Whoa! Fastest comment ever o.O I JUST linked it on my game reviews page. Yeah, you’re going to want to check this one out. It was in my Top 10 games watched last year. Yeah, I happened to log in as soon as you posted it! Good timing, huh? Then again, it helps that I haven’t played it yet; otherwise, my comment probably would’ve been at least one good paragraph long about why I liked/didn’t like it. It is on my “To Play” list to be sure. I’ve been really impressed with the indie scene this decade. In fact, I’ll be reviewing a good indie game next. What game are you about to review, or is it hush hush until you do so? Yeah, I think the indie scene managed to accomplish something they didn’t (and arguably couldn’t) in the 2000s/early 2010s – challenge the status quo in a truly meaningful way. Before, the indie scene never really ascended past the level where I would consider it merely kind of neat. These days, it’s a force that can stand toe-to-toe with the AAA industry, often surpassing it. I think they did that by exploring avenues of storytelling without invalidating a game’s status as a game. To wit, Undertale was a good story-heavy game because it was unabashedly a game, not despite the fact that it was unabashedly a game. There are more examples of this, and I feel the reason it along with other efforts have managed to resonate so deeply with the gaming community at large is because it’s a movement that exudes much more self-confidence for the medium than the AAA industry’s attempts to follow in Hollywood’s footsteps or even other indie approaches (e.g. dialing the artistic aspects up to eleven at the expense of everything else, the walking simulator movement, etc.). It’s no wonder those works manage to gather strong followings. Actually I have to admit that it’s another story-heavy game, so when I reveal it, you would probably have to skip the main portion as there’s no way to talk about it without spoiling it. If you would like, I can email the name of the game to you and you can add it to your watch list. It sounds like a fantastic game! I wish I had a PC that could run it, but I am pretty sure I do not. Glad you enjoyed this game. I’m excited to try it out myself. One of my all time favourite games. Right there in the top 5. It’s magical. Well, this is weird. I’ve added the game to my wishlist based on your account of watching someone else play the game. I’ve got like three degrees of separation from the original experience here. But yeah, the sound alone seems fantastic, the art looks great, and that segment you linked seems very thrilling. Hopefully, it makes its way into my collection soon. I love when that happens. If I get hit from more than one angle with a game rec, I know it’s written in the stars hehe. That part was what completely convinced me that I hath not the skill. It’s edge of your seat heart pounding. I hope you get to play it soon! Omg this game was so gorgeous, and it seemed to be really generous with its checkpoints, so even if you did die, you weren’t put back too far. I agree with the 10/10 rating. Game is full of color and beauty. Can’t remember the last time I played a 2D side scroller that looked so good. Also, the gameplay is super fun and addicting. I agree with everything you’ve said here. I played this on my boyfriend’s computer since my laptop is almost 10 years old, and it was emotional and challenging. 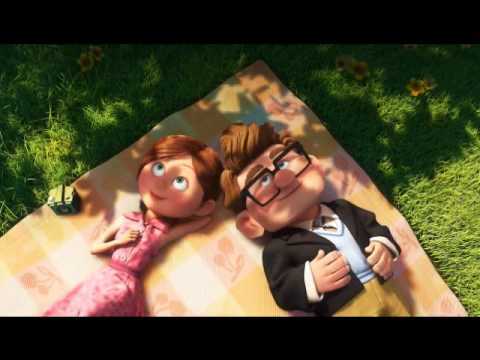 I know we’ve talked about this before, but I wept in many of the game’s sequences because they were beautifully done. So much can be said without words. This was a great read, and I really think you captured what I (and many others) loved about this one.